← For the First Time in 40 Years… Economic Growth Hasn’t Lead to an Increase in CO2 Emissions. The number of cars on the roads worldwide has surpassed one billion, with the U.S. having the largest car population at about 239.8 million cars. It is estimated that by 2050 the worldwide car population will reach 2.5 billion. This would require a production of 120 million barrels of oil per day, which is 37 million more that we require today. Since transportation currently accounts for 23% of the world’s greenhouse-gas emissions, increasing transportation will only make global warming increasingly worse. In order to compete with these rising emissions, we need to move towards alternative energy vehicles. An excellent alternative to the regular “gas-guzzling” cars are the All-Electric Vehicles (EVs). EVs run on electricity only and are powered by rechargeable batteries that propel the electric motors in the car, allowing it to move. EVs are much more energy efficient, environmentally friendly, require less maintenance, have better performance, and have reduced energy dependence over vehicles with internal combustion engines (ICEs); which are the cars that require gasoline. EVs are very energy efficient in terms of how much energy they convert from their source to power the wheels. EVs convert about 59%-62% of the electrical energy from the grid to power the car, while ICE only convert 17%-21% of the energy from gasoline to power the car. EVs are much more environmentally friendly than ICEs because they emit no tailpipe pollutants and if the electricity is from nuclear, hydroelectric, solar, or wind power plants there are also no air pollutants. EV’s energy costs are also less than ICE’s energy costs. 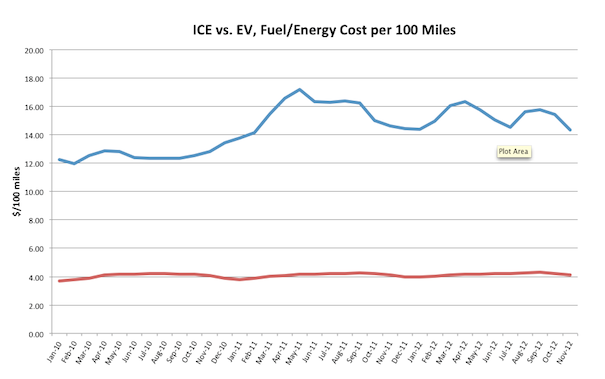 The cost to drive an EV 100 miles is significantly less than the cost to drive an ICE 100 miles (Figure 1.). Additionally, as a bonus, EV’s motors are very quiet, have stronger accelerations, and require less maintenance than ICEs. Yet, of course, there are some downsides to the EVs. Two of the main downsides that most people would worry about if deciding to buy an EV is it’s driving range abilities and recharge time. Most EVs can go only about 100-200 miles before needing to be recharged, while ICEs can drive for over 300 miles without needing to be refueled with gasoline. Also, fully recharging the battery can take from 4-8 hours. EVs can either be charged at the house or at a charging station (Figure 2.). 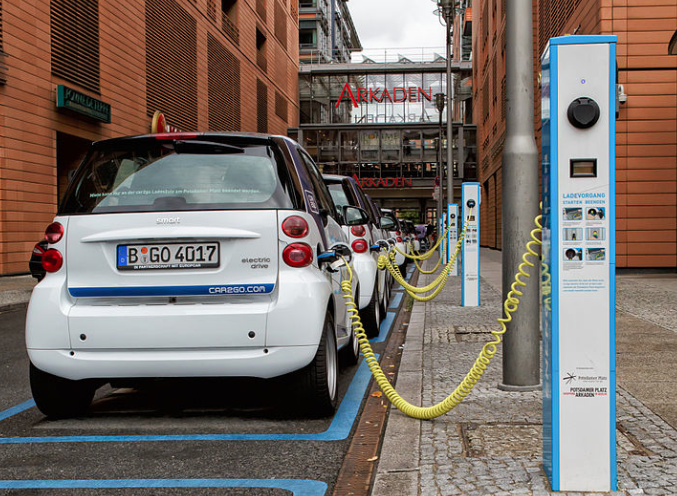 Figure 2. shows an example of an EV at a charging station. There are also other downsides to EVs, which are the high cost to replace a car battery (which may need to be replaced) and the heavy weight and consuming size of the battery packs. As usual, whenever there is a technology that is an alternative to help save energy, there are usually downsides. Yet, with EVs, there aren’t downsides that are un-manageable or “not worth it.” I believe EVs are rare, but exciting, because they truly benefit the community, and more importantly, the environment. With technology advancing everyday, the small issues of the driving range, recharging time, and battery weight, size, and cost will eventually become irrelevant, and soon enough All-Electric Vehicles will be the obvious choice, not that they aren’t already!